Part of what makes blogging fun for me is the chance to preview new books or books that haven’t even hit the shelves yet. 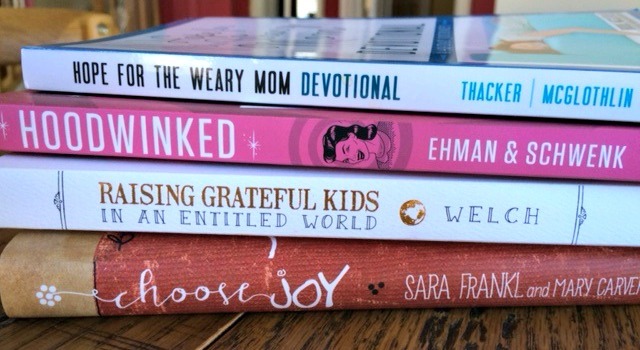 Today I’m sharing some of these new books with you. The quiet of January seems to be a perfect time to catch up on some reading—maybe one or two of these would be just right for you. Get your Kleenex ready for this one. My real-life friend, Mary Carver, has compiled several blog posts that tell about the life, illness, and death of Sara Frankl, and I couldn’t be prouder of Mary’s accomplishment here. A little background: Sara suffered from a rare genetic disorder (brought about by a car accident when she was in college of all things!) that became so severe that she could not leave her home. As a young, homebound woman, Sara found an outlet and a connection to the outside world through her blog, Gitzen Girl. The wisdom, kindness, and generosity of spirit that Sara shared with her readers were qualities of a woman far beyond her 30- some years. 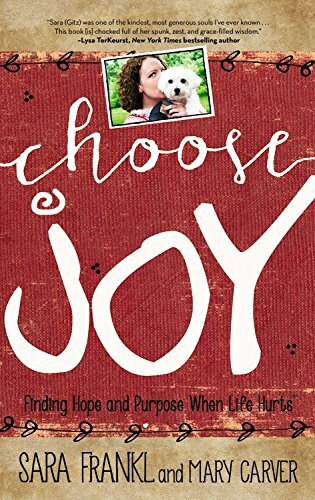 In this book, Mary shares Sara’s life and background along with some of her more poignant posts. I was a faithful reader of Gitzen Girl, following Sara’s trials until her death in 2011, and I, like Mary, was deeply affected by Sara’s life and words. I think you will appreciate Sara’s wisdom and thoughts about life in this beautiful book as much as I did. 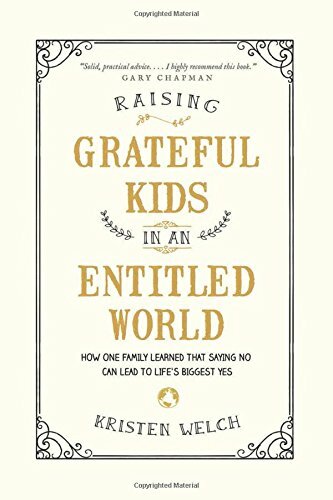 Raising Grateful Kids in an Entitled World: How One Family Learned that Saying No Can Lead to Life’s Biggest Yes by Kristen Welch. Again, I’ve read Kristen’s blog, We Are THAT Family, since it began, and I have loved her heart, her wisdom, and her parenting style. In this book, Kristen lays out how she and her husband have raised their kids in a counter-cultural way. So much of what Kristen says here resonates with me, and I highly recommend this book. I’m sure many parents who read this will be challenged to think carefully about their families, about society, and about how we raise kids to be world-changers. Yes, there is much in the book about teaching gratitude, as the title suggests, but as I read the book I couldn’t help thinking that a few of the chapters weren’t so much about teaching kids to be thankful as they were about how Kristen and her husband parent their children. The title was a little confusing to me. I also noted several ways in which their parenting style and ours are different—we all parent just a little differently from each other anyway, don’t we? But I still found several chapters challenging, convicting, and helpful for young parents. 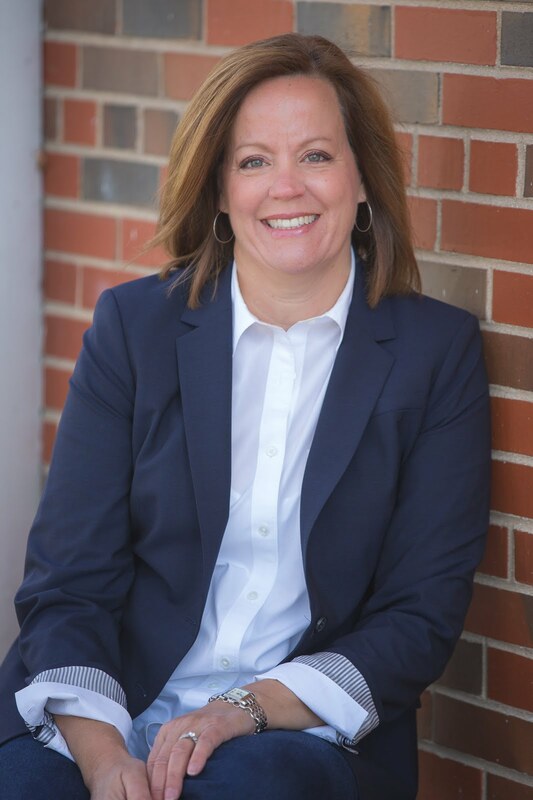 Hope for the Weary Mom Devotional by Stacey Thacker and Brooke McGlothlin. More real-life friends here! Stacey, who started Mothers ofDaughters (where I contribute monthly) and Brooke, who started the MOB Society (for moms of boys), first linked writing arms to bring us Hope for the Weary Mom. 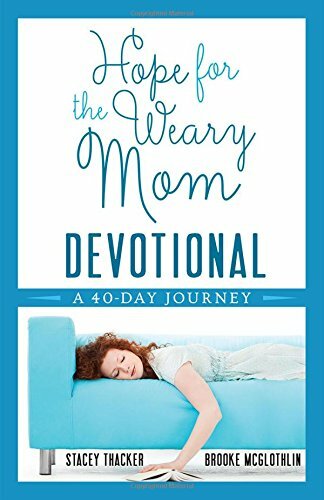 In their most recent book they share 40-days of devotional thoughts aimed specifically for those of us who struggle to feel seen, loved, and understood along our journey of motherhood. I loved this book because the devotionals are short, scriptural, and point us to the heart of God for moms. I could relate so well to those early days of motherhood, feeling alone and pretty much a mess and wondering if anyone knew how hard it all was for me. Brooke and Stacey reassure us that God sees, He knows, and He cares deeply about moms. If you have young children, or if you’re a mom whose looking for a sound, scriptural devotional, I recommend this book. Hoodwinked by Karen Ehman and Ruth Schwenk. This books was a surprise to me. I honestly didn’t think I was going to like it because, like most people, I do judge a book by its cover. And, in my opinion, this cover isn’t the best. 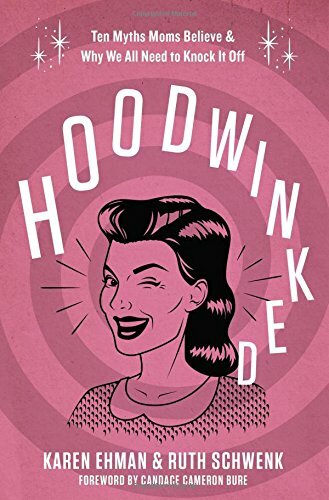 Hoodwinked is a book about debunking the myths of motherhood and replacing the lies we all sometimes believe with Scriptural truths. For me, the chapter titled “Myth #2: The Way I Mother is the Right (and Only) Way,” was worth the price of the book alone! And also? I loved the phrase “Mommier-than-thou” that they used to describe some of our more judgmental mommy moments. Had me laughing out loud. In each chapter the authors somehow manage to be convicting about the myths we hold on to and grace-filled about the ways we have felt judged as moms. Filled with biblical truth and practical knowledge, this is a great book for moms who need to push a reset button in their thinking. As I said, I was surprised about how much I liked this book. So mamas, are you looking for some wintertime reading? Why not check out one or two of these books. You might find yourself laughing or crying, but they might also help make those long, dreary days of winter go just a little bit faster.